"Homeopathic medicines...little more than snake oil." Except that they are just water and perhaps a bit of sugar. At least with snake oil you were getting something that you couldn't get out of your kitchen sink tap. Great post, btw. I had no idea you couldn't get aspirin at Whole Foods. You'd think that aspirin should be the poster child of herbalism; the foundational compound comes from plants, it relieves pain and prevents heart attacks. Consumer surveys show that labelling foods as "GMO" will discourage consumers, who don't understand the technology, from buying them. Anything other than "natural" is viewed as a negative. This is why food producers don't want to label. I agree that more education is good, but labelling is not necessarily good if it's going to be misinterpret. Just putting "GMO" is not enough. If instead the label said precisely what was done, that would be far better - but that's probably too much to put on a label, as you need a paragraph at least. 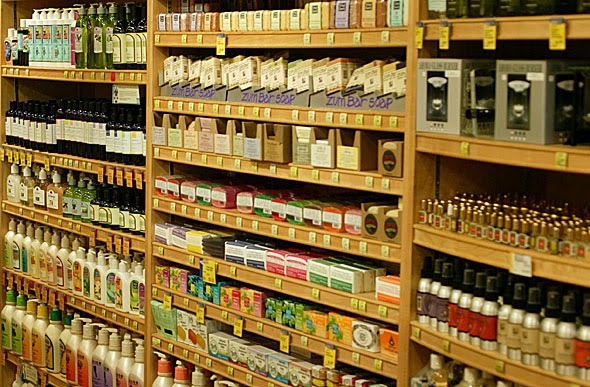 People can demand labeling for any and all of many "objectionable" agriculture practices. Should we label food explicitly as grown using Haber-Bosch-generated nitrogenous fertilizers? Because many people have a problem with that. Should we label grains and grain products explicitly as grown from high yielding dwarf varieties? Because some people are really pissed off over Borlaug's Green Revolution. Should we label foods as having come in contact with aluminum (which is any food really, considering the natural abundance of aluminum in the Earth's crust)? Because some people really hate aluminum. We can't realistically label foods for every practice that someone might object too. These practices and products, along with GMO tech., have been demonstrated to have no influence on nutritional value of the product. The onus is not on the producers to label foods that contain GMOs; let producers who cater to GMO opponents to label their foods as GMO-free. But even then, the issue of GMO labeling is complex. Is cheese made from organic milk but recombinant rennet to be labeled as GMO, when the rennet is of such a low percentage? If you want cheese that's 100% GMO free and not reliant on the ethically questionable veal industry... well you're boned. What about gasoline enriched with ethanol made from the fermentation of GMO corn? The GMO status of that corn that goes into your car has as much effect on your health as the GMO status of the corn that goes into your Cocacola. The reason that I oppose GMO labeling is because there is no compelling reason to do so. Education of consumers? That's not the job of General Mills or Procter and Gamble. If Whole Foods wants to (mis)educate their clientele (a group with which I'd admit occasionally belonging to), that's their prerogative.